Hailstorms rarely come with an advanced warning; they can strike anywhere, anytime when a thunderstorm is brewing. The hailstones can be as small as a pea or as big as a softball and can damage all sorts of properties. When it comes to visible damage, however, many might not be able to instantly see if the roof, gutters, siding, or other parts of the home have sustained injury. Hail damage specialists PERTEX Roofing and Construction, LLC shares some things to look for. 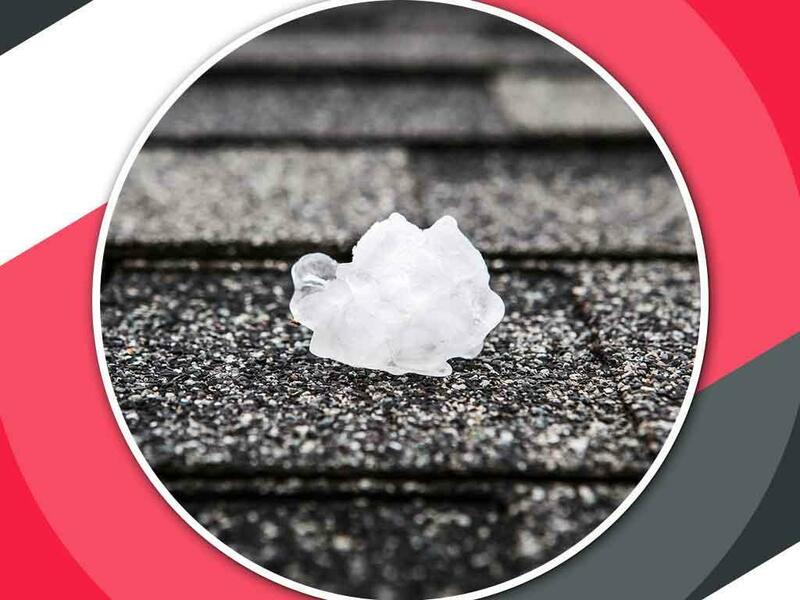 Hailstones can leave dents on the shingles, or what roofers may refer to as bruises. These are usually difficult to spot immediately, especially since the roof usually follows one color scheme. An easy way to check for these bruises is to literally feel the shingle. Gutters and downspouts are usually not as sturdy as roof shingles, which means you can easily spot dents, dings, scraped paint and other signs of impact, even if you don’t go up to the roof or the side of the home. Many visible dents on the gutters likely mean hailstones have made more extensive damage to the roof and other exterior surfaces. In some instances, you may even see part of the surfaces damaged, scraped, or even knocked off. If this is the case, emergency roof repair could be needed, especially if the stones are at least the size of golf balls. There’s likely significant damage to your property if you see shingles, tiles and metal fragments on the ground, so it’s best to check where those pieces came from. You should also inspect the exterior walls, siding, chimney and other installations to look for visible damage. Homeowners in Plano, TX, and nearby areas can contact us for more information about our services. We work with all major types of steep-slope roofing systems and our work comes with a warranty. Get in touch with us today for a free inspection at (214) 473-5888.